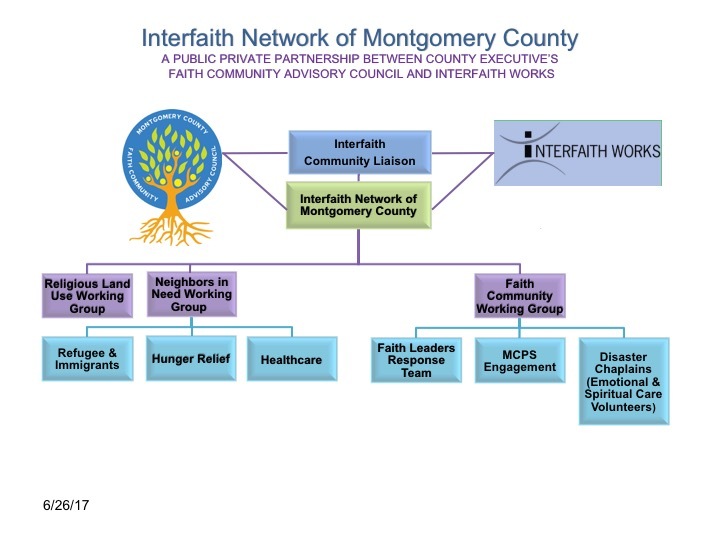 Interfaith Works and the Montgomery County Faith Community Advisory Council are combining their strengths to unite and magnify the impact of the interfaith community through the creation of the Interfaith Network of Montgomery County. It is a public/private partnership bringing hundreds of faith communities together to build a healthy, resilient community where all residents feel respected, valued and supported. INMC will focus on fostering dialogue and providing faith-community solutions to crucial issues, including poverty, xenophobia and bigotry. 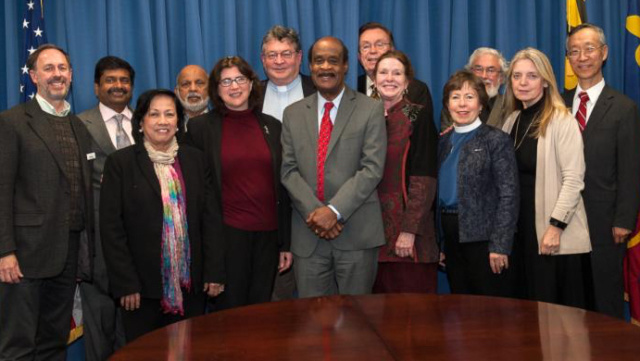 Funding for the Interfaith Network of Montgomery County will be provided by a County grant with matching funds coming from a membership base of faith communities, organizations and individuals. To find out how you, your faith community and/or organization may become founding members, click here. We will be hiring a full time Administrative Assistant this summer and a half time Program Director this fall. Together we will empower the working groups, teams and committees, displayed in this organizational chart (click here). Our County Executive, Ike Leggett, in initiating INMC said, We are fortunate to have faith communities reminding us that we belong to one human family and working together for the common good.